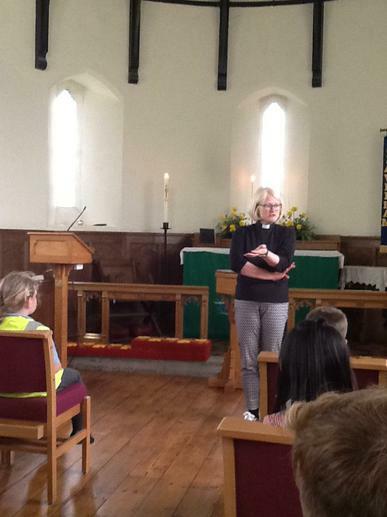 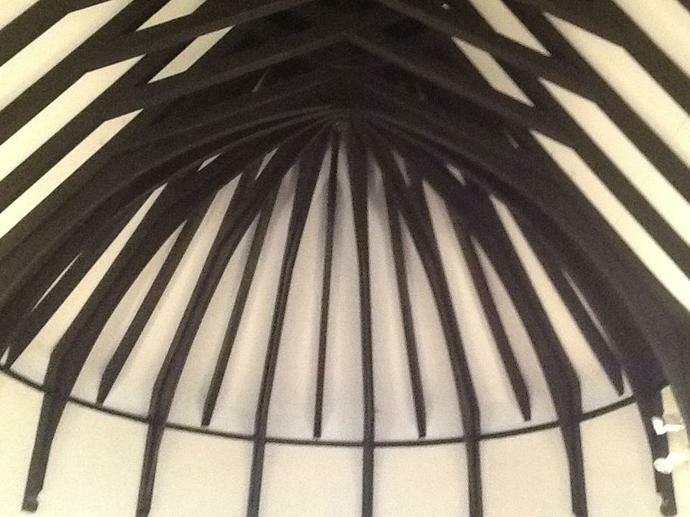 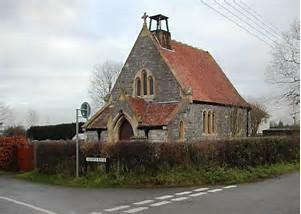 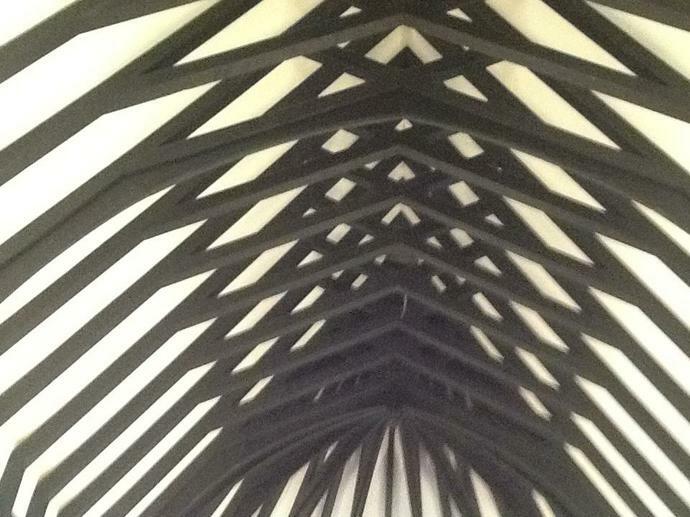 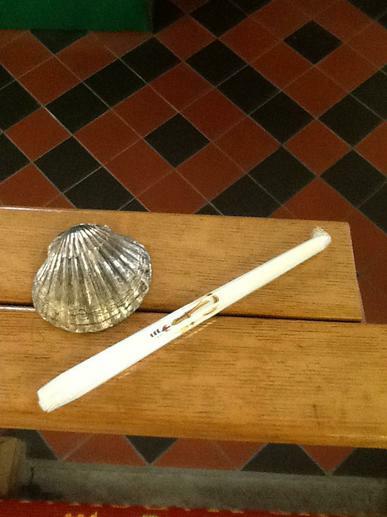 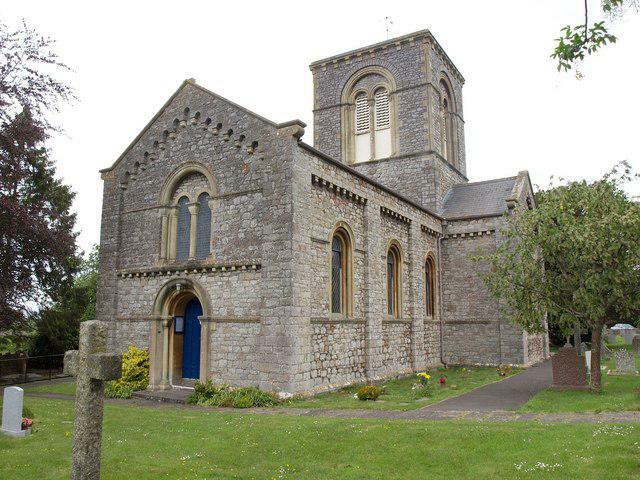 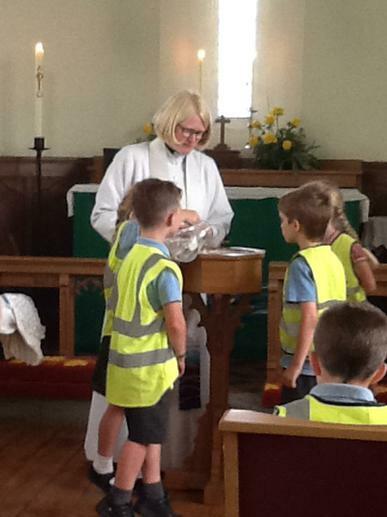 We enjoy close links with Holy Trinity Church. 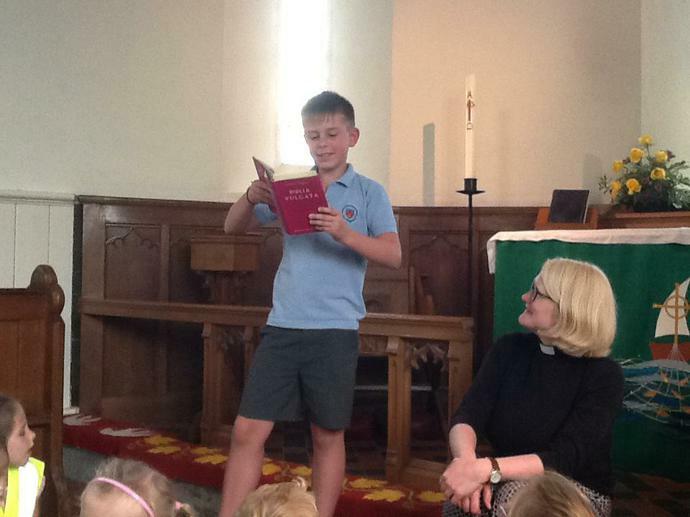 Every Christmas, the whole school gathers there for our Carol Service led by the Holy Trinity congregation. 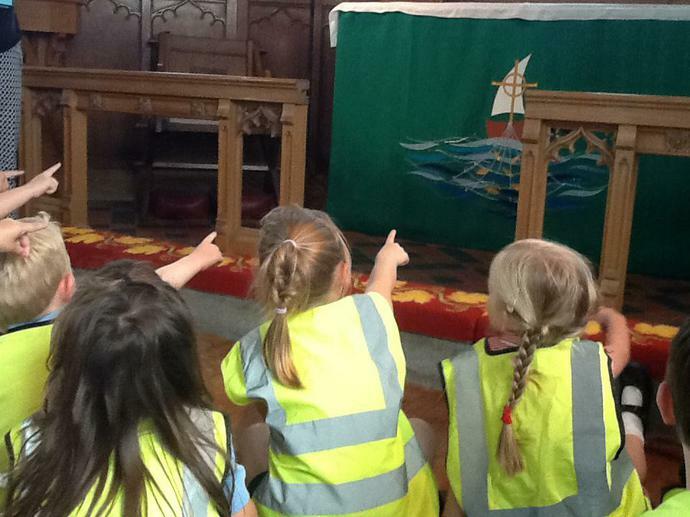 The children enjoy the singing and drama. 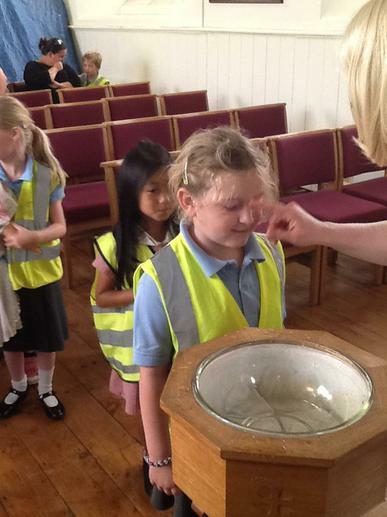 We also enjoy visiting St Barnabas at other times during the year. 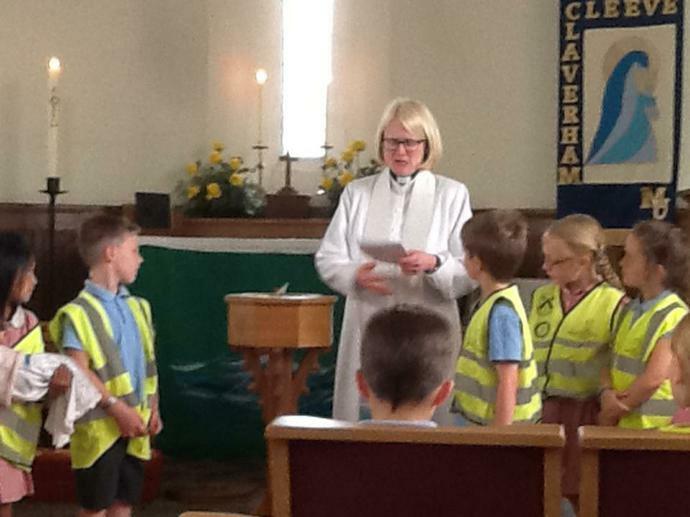 Harvest, Easter and our Leaver’s Service. 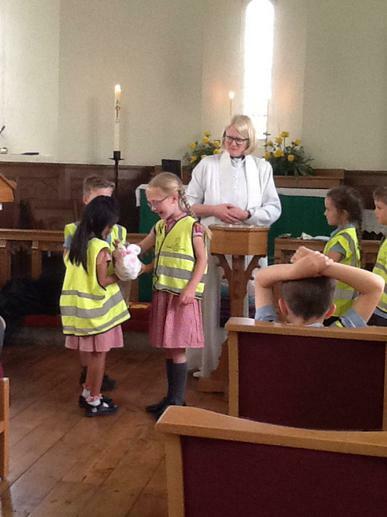 Members of the local congregations provide us with a Harvest loaf, an Advent Wreath and an Easter Garden. 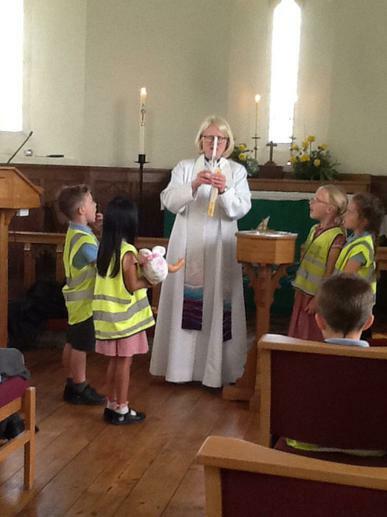 Members of the Church team regularly contribute to school life, by leading collective worship and helping with the RE curriculum. 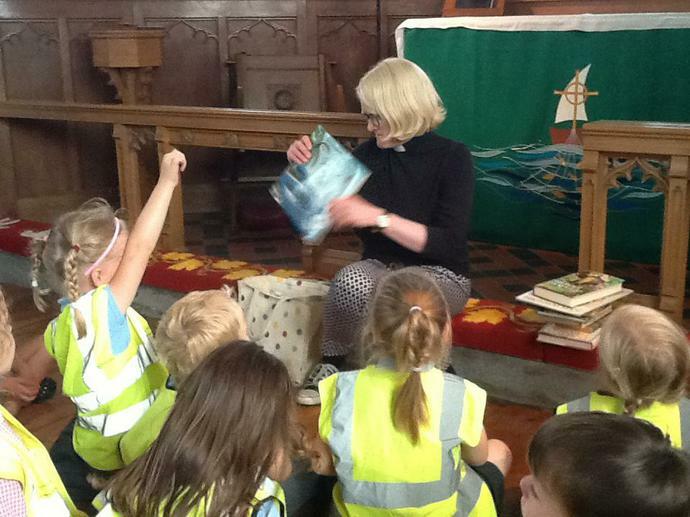 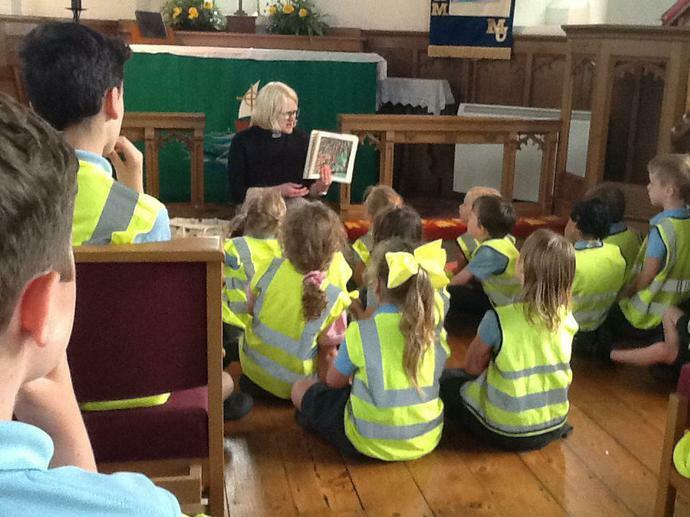 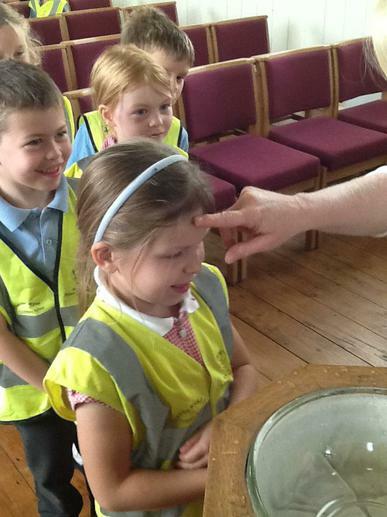 Robin and Kestrel Classes enjoyed their visit to St Barnabas where Rev. 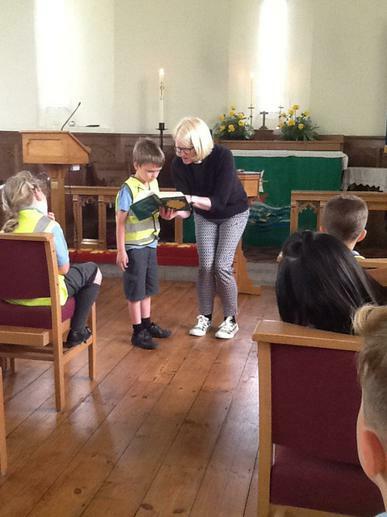 Jo shared some special books and special stories from the bible with us. 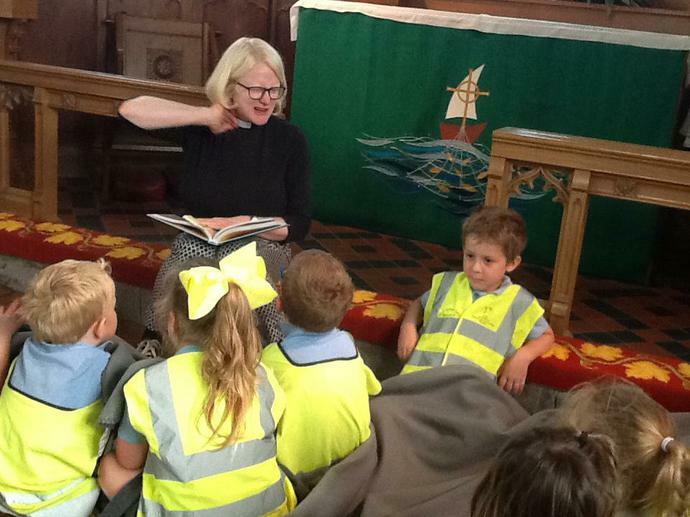 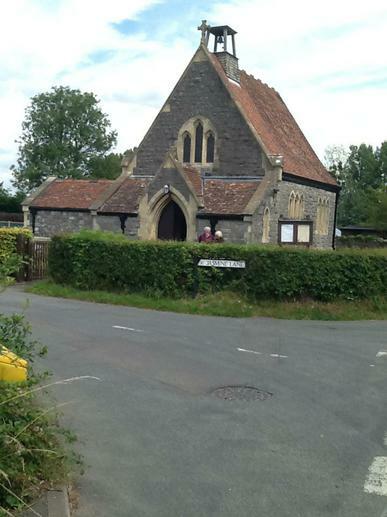 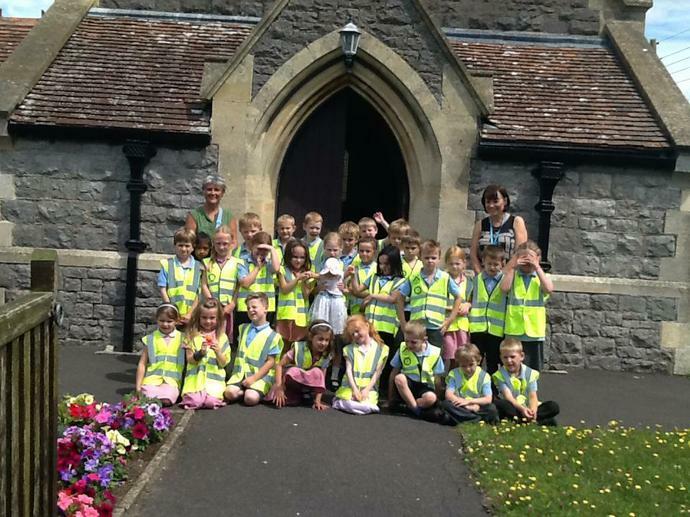 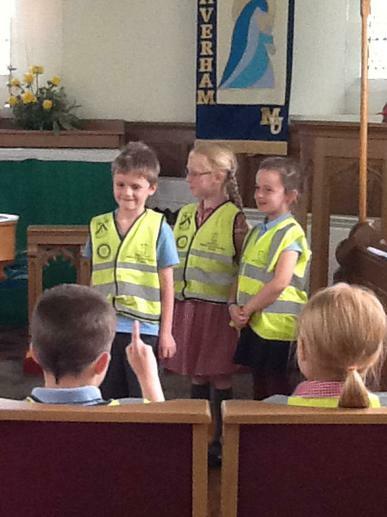 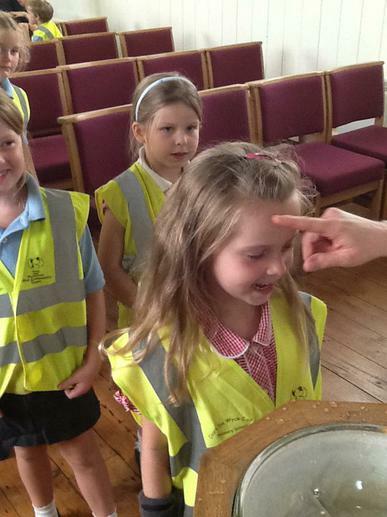 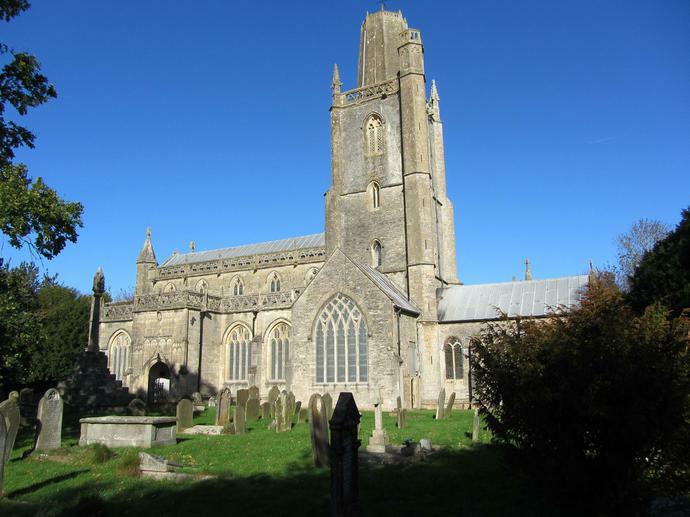 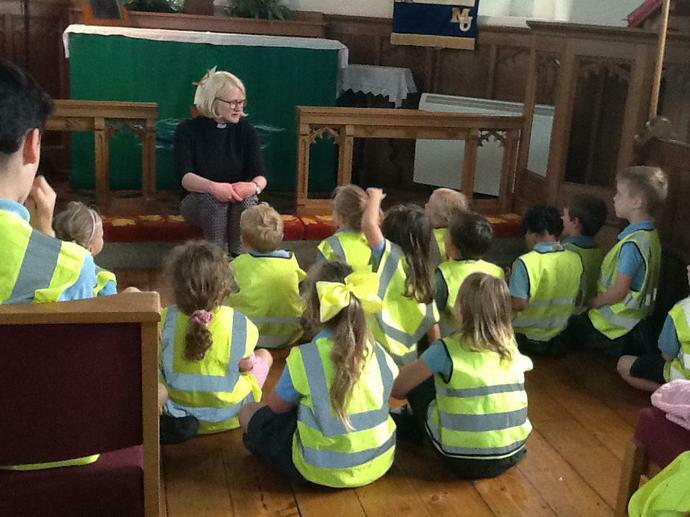 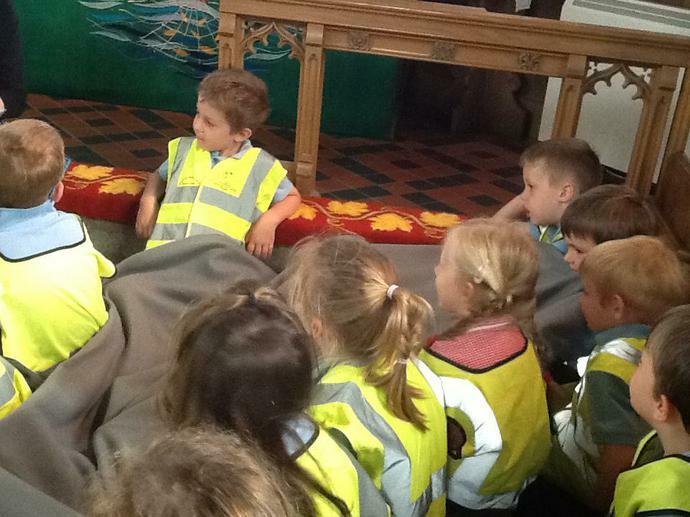 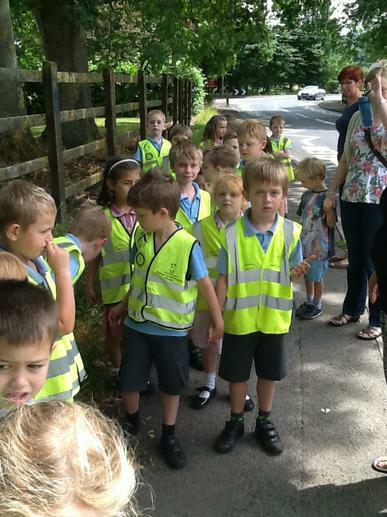 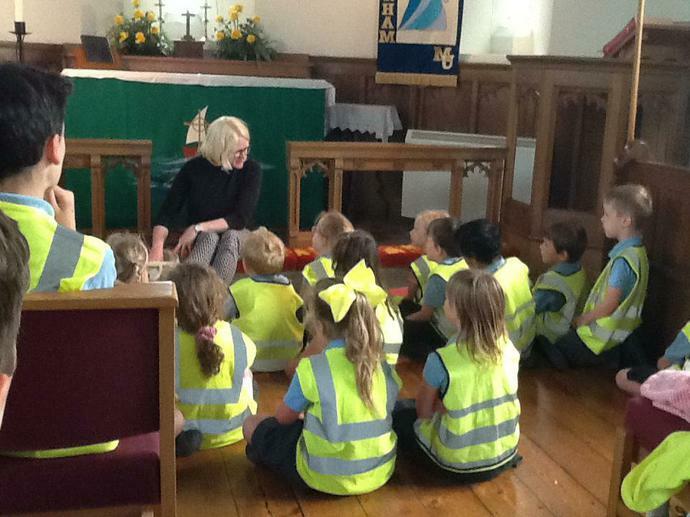 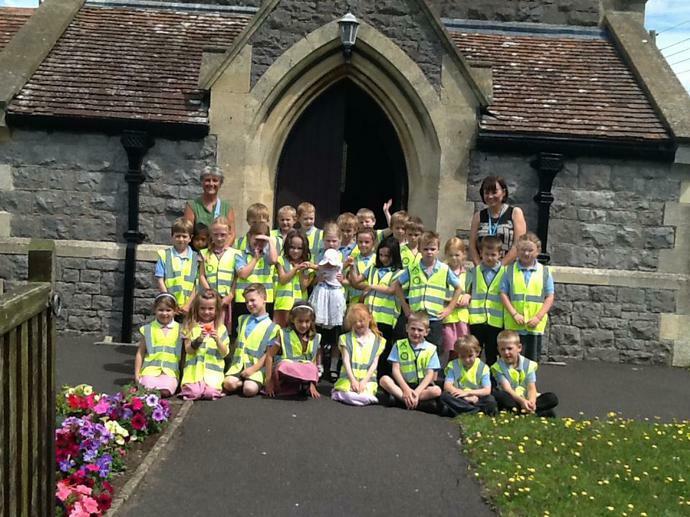 Owl class walked to St Barnabas Church in Claverham. 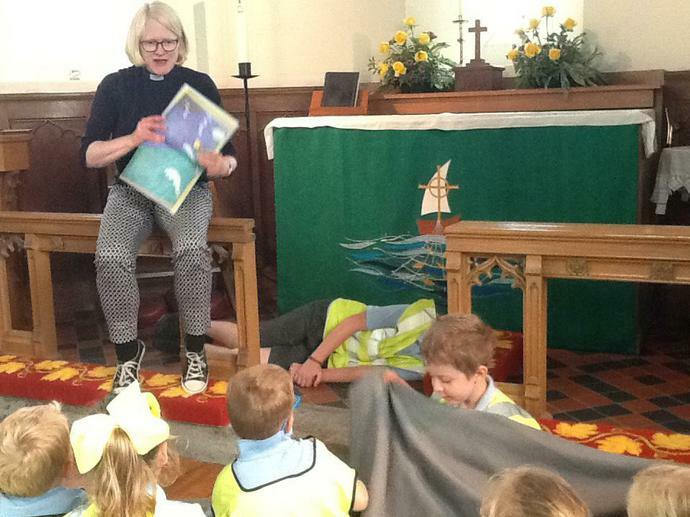 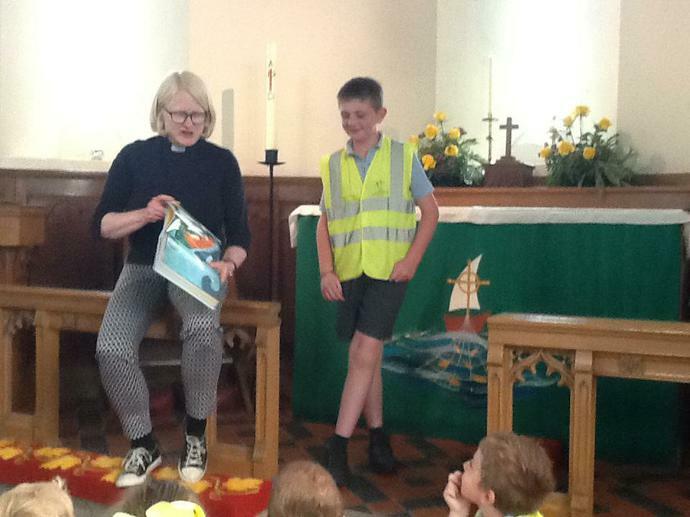 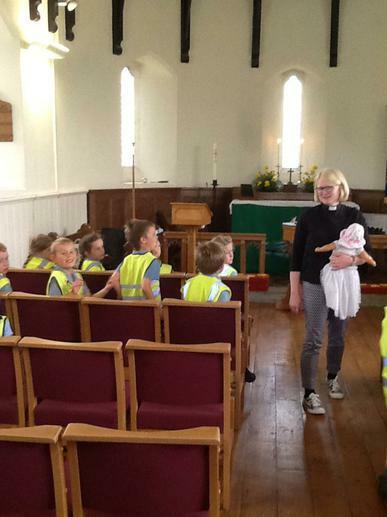 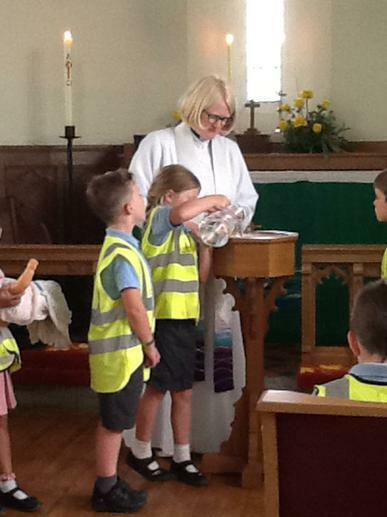 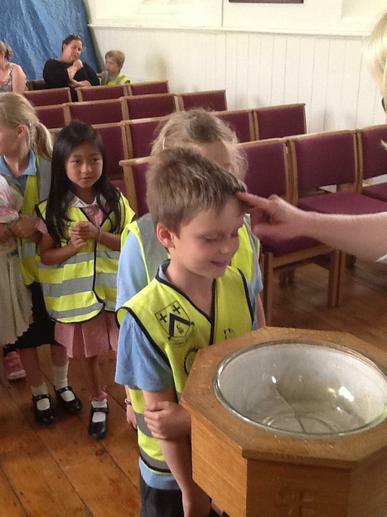 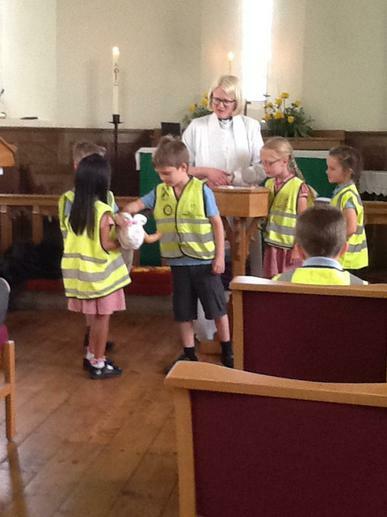 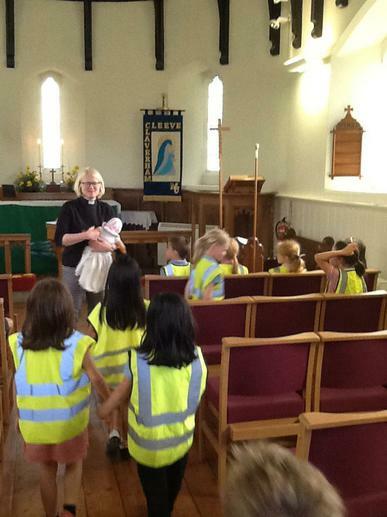 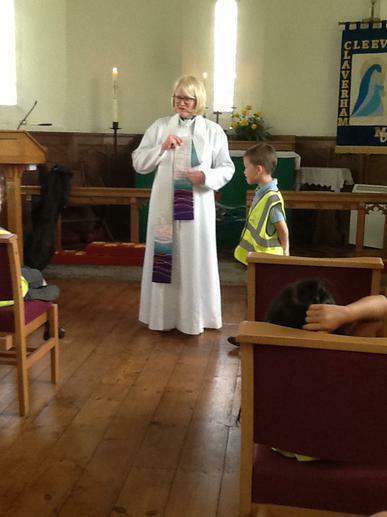 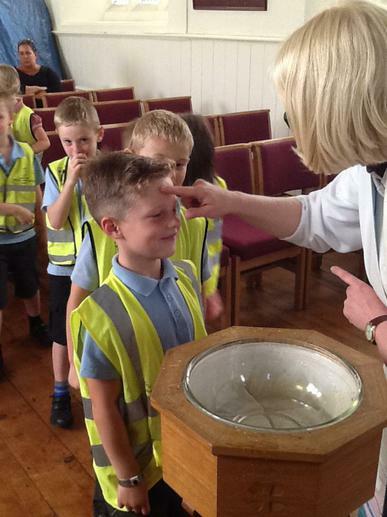 Rev Jo performed a mock baptism for the children. 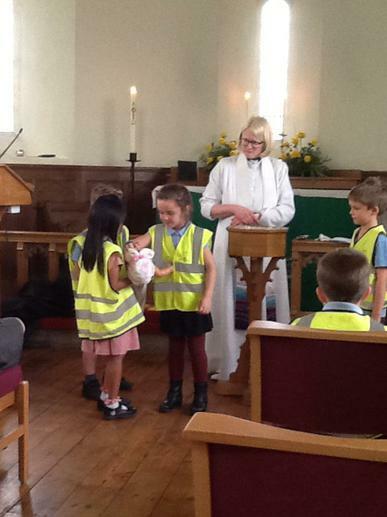 The children were the congregation and some of the children godparents and parents. 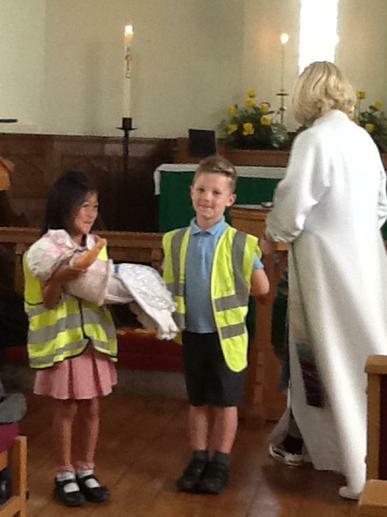 They had been learning about baptisms in class and had even written reflective writing about belonging in our families.